Today was all about rounds and shapes darks and lights. 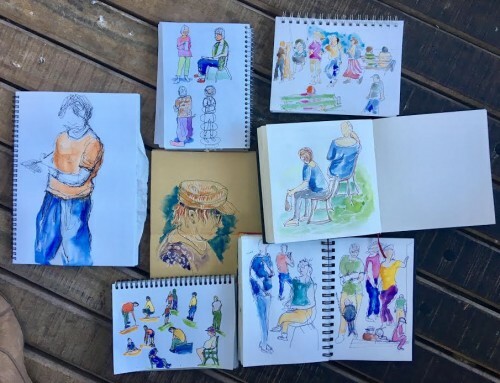 Everyone bounced in (always a good sign) and after going over some of last weeks work we hit our ‘straps’ with a warm up followed by colour layering – always a great exercise. 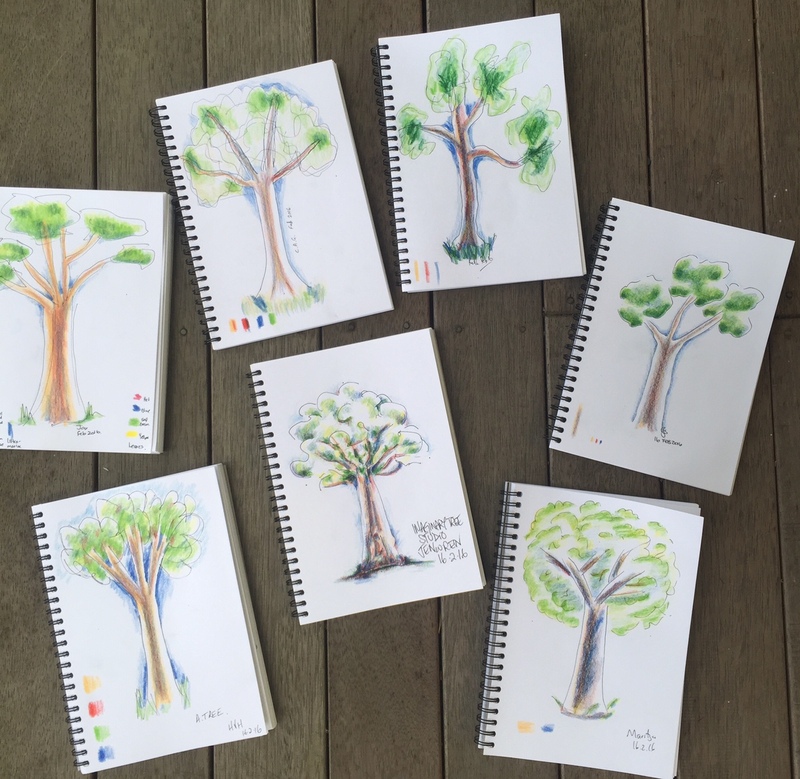 We then learnt how to sketch trees – quickly!! before that tree gets up and walks off – 🙂 Though speed is an essence of travel sketching this comes with time and confidence as I guide my students through. Then it was out onto the street to REALLY draw a tree ! 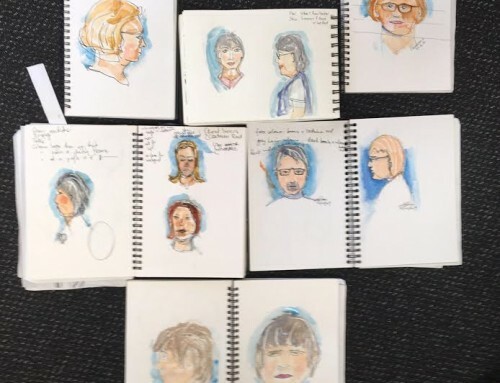 Some great use of colour, each sketcher with their own approach and style.